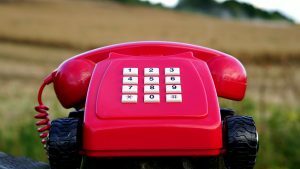 What is a PBX business telephone system? One of the most critical decisions of an office move is what business telephone system to select for maximum usability and cost efficiency. It’s always a good idea to reevaluate your phone system choices and determine what option will work best for your company as you move forward in the office move. PBX stands for Private Branch Exchange, and it is typically one of two options that a business owner or move coordinator will encounter during office relocation or the purchase of a new business telephone system. Unlike a VoIP (Voice over Internet Protocol) phone system, a PBX system features a centralized private switch located in your office. This allows for business telephone calls to be placed within a private office network. Outgoing calls may be made by first entering a code to switch to an external line. 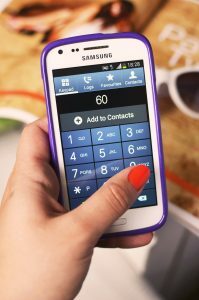 There may be a code for placing local calls, a code for long-distance calls within the country, and a code for international calls. Often, business owners select VoIP phone systems over PBX during their office move because they operate off of an internet connection rather than a physical landline. This option may allow for more flexibility in the business telephone system, as an internal switch is not required to place calls. The benefits of a VoIP system sometimes come with a loss of quality, however. Many business owners find that PBX phone systems consistently offer better call clarity and stability. The pricing of a PBX business telephone system is another factor to consider as you make your selection during the office move. PBX typically has a high upfront cost, as business owners must purchase and install the business telephone system themselves after their office move. This initial cost of PBX, in addition to monthly usage and long distance fees, may seem prohibitive at first. The typical VoIP call system is provided and maintained by the business telephone service provider, but the monthly fees for usage are often considerably higher. 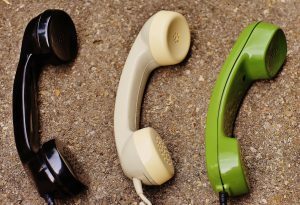 For business owners evaluating their long-term business telephone usage, a PBX system often makes a lot of sense for keeping costs down in the long run. This checklist tells you step-by-step what to consider for your telephone systems. Get Your Free Telephone Timeline Checklist! What is a VoIP business telephone system? VoIP stands for Voice over Internet Protocol. VoIP essentially transmits voice over the internet, allowing you the option of placing phone calls anywhere there’s a broadband internet connection. VoIP business telephone systems allow the most flexibility, because they do not require specific wiring. In addition, VoIP often costs less to purchase, allows the user to save money on long-distance costs, and provides an economical solution for business telephone needs. Of course, VoIP also has some drawbacks. Because this is still relatively new technology, there’s a lot of room for improvement when it comes to VoIP call quality. If your business relies on consistently clear business telephone communication, as in a telemarketing company, PBX (Private Branch Exchange) may provide a better option for your office relocation. Since VoIP depends on an internet connection, any problems with your connection will directly impact the usability of your business telephone system. Also keep in mind that because VoIP uses an internet connection, your business telephones may be vulnerable to security breaches after the office relocation. Identity theft, viruses, malware, spamming, and other threats can harm your company, so make sure you implement security measures if VoIP is your preferred telephone system. Finally, keep in mind that since VoIP shares a high-speed broadband connection with your other communications and data needs, you may experience inadequate bandwidth if you don’t plan in advance of the office relocation. As you select your new office site, be certain that the available bandwidth will meet your voice and data requirements. VoIP can be an affordable and flexible alternative to traditional business telephone systems. Just make sure you are aware of what a VoIP system means for your business so that you can take steps towards a successful transition during your office relocation.